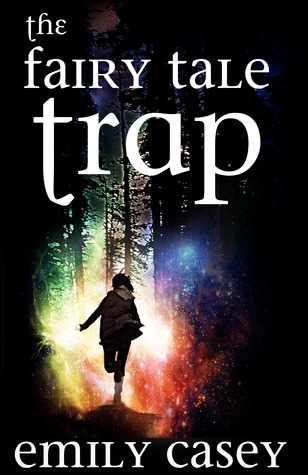 Welcome to the Fairy Tale Trap Blog Tour! We are happy to be part of this tour and would love for you to get to know this book and author even better! This was a fun novella! I am a big fan of fairy tales (especially Beauty and the Beast). The idea of having a "real" teenage girl getting dropped into the story of Beauty and the Beast is my idea of a perfect book. This is a novella- not a full length novel. It is good to keep that in mind because the author doesn't go into great detail with conversations, setting, and background story of the main character. That is completely understandable- and yet one of the problems I have with novellas in general (I feel like I missed something). I loved all of the unique twists that the story took and I how the story of "Beauty and the Beast" got completely messed up. What happens when the Beast... really is a beast? Horror story much? The one minor negative I had with the book was that it was set in first person present tense. This is just a personal preference, but I have a harder time getting into books that are written that way- but like I said, that is a personal thing. If you are a fan of fairy tales, you will enjoy this novella- I am looking forward to more from this author in the future! I'm a writer from Tallahassee who chases two crazy kids around the house all day before collapsing in front of my computer. Other little tid-bits: I'm a dog person (I have a German Shepherd named Guybrush), I like to run (I ran my first half marathon while 4 months pregnant) and majored in Psychology (which explains why I'm a little nuts) with a minor in English (which explains the whole writing thing). The author has kindly offered our readers an e-copy of The Fairy Tale Trap! 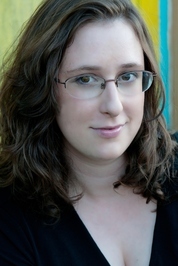 Check out the next stop tomorrow with Anna over at Literary Exploration! Favorite fairy tale? Beauty and the Beast followed by The Little Mermaid. And Cinderella. Oh crap, I love them all... Thanks for the giveaway! My favs is going to have to be Beauty and the Beast but there are soo many great ones! Sounds awesome! This sounds like a great Novella! I love all fairy tales. I especially love reading fairy tales that have been sweetened for little children and are more to popular knowledge. I have wanted to read this book for a while so thank you for the chance to win! !